Have you got an Ostrich Brain? 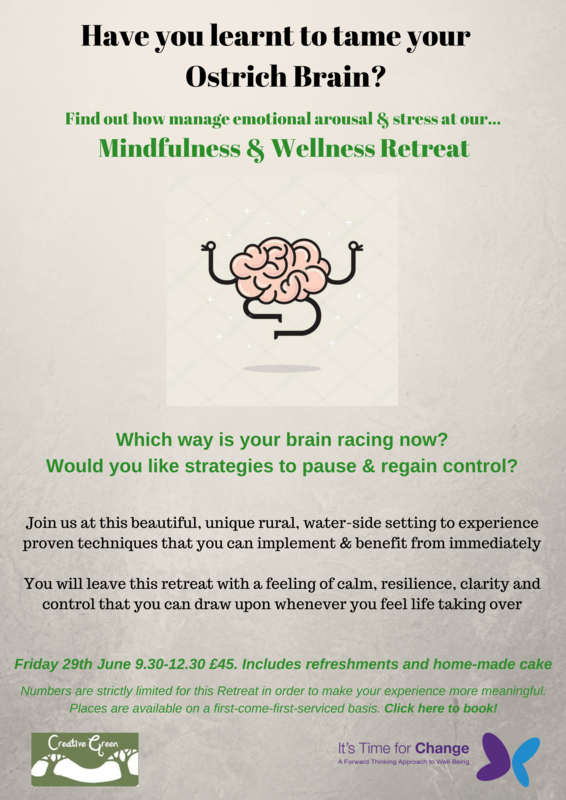 Learn how to control it at our Mindfulness and Wellness Retreat. Which way is your brain racing? Have you tried stopping it and noticing how it feels? 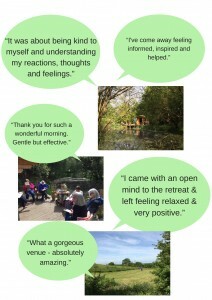 Join us at this beautiful and unique wooded, pond-side setting at Clue Hill Farm to experience techniques for taking control of your brain and emotions. 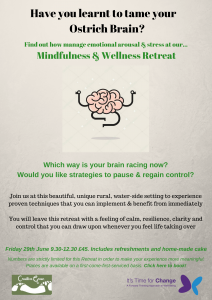 You will leave this retreat with a feeling of calm, resilience, clarity and control that you can draw upon whenever you feel life taking over. Price: £45 includes refreshments and homemade cakes. Numbers are strictly limited and are on a first-come-first-served basis.